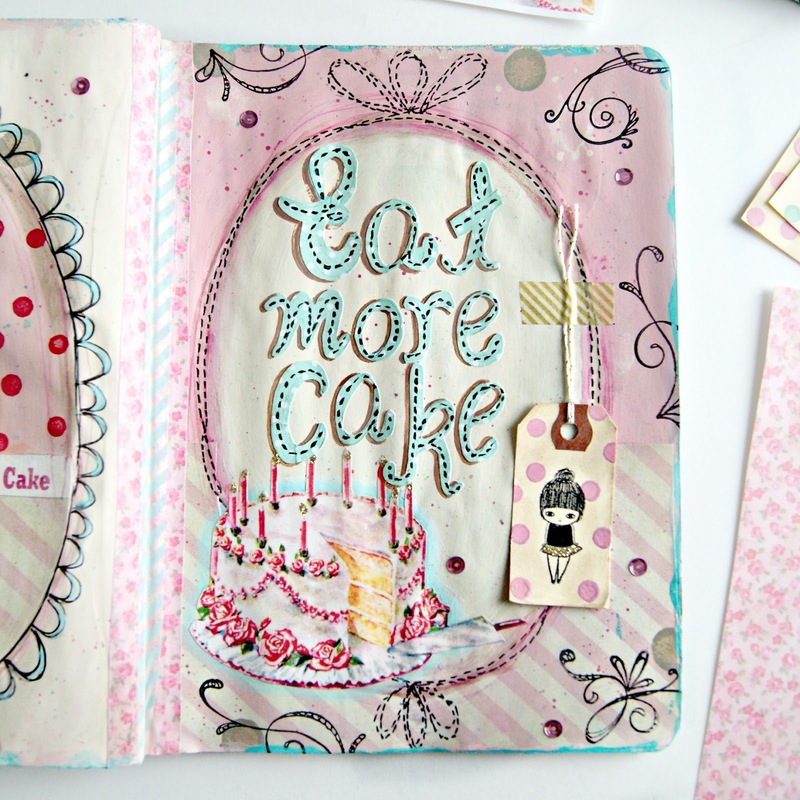 I find Art Journaling to be such a break from the everyday work. In our "real" work everything has to be so perfect. And I feel like Art Journaling is the opposite of that. It's a chance to be haphazard and messy. It had been a long few days of making, packing & shipping, and while the clear coat on a bunch of die cuts was drying I found some time to play around in one of my Art Journals. 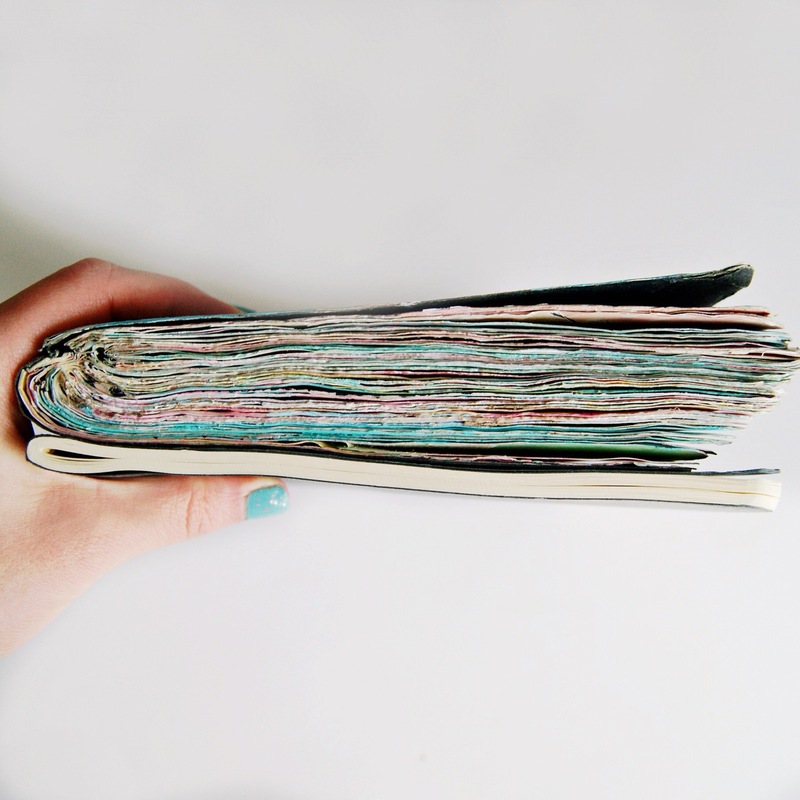 This is one of my smaller Moleskine journals and it's nearly filled up. This is one of the basic Molskines with the very thin pages. 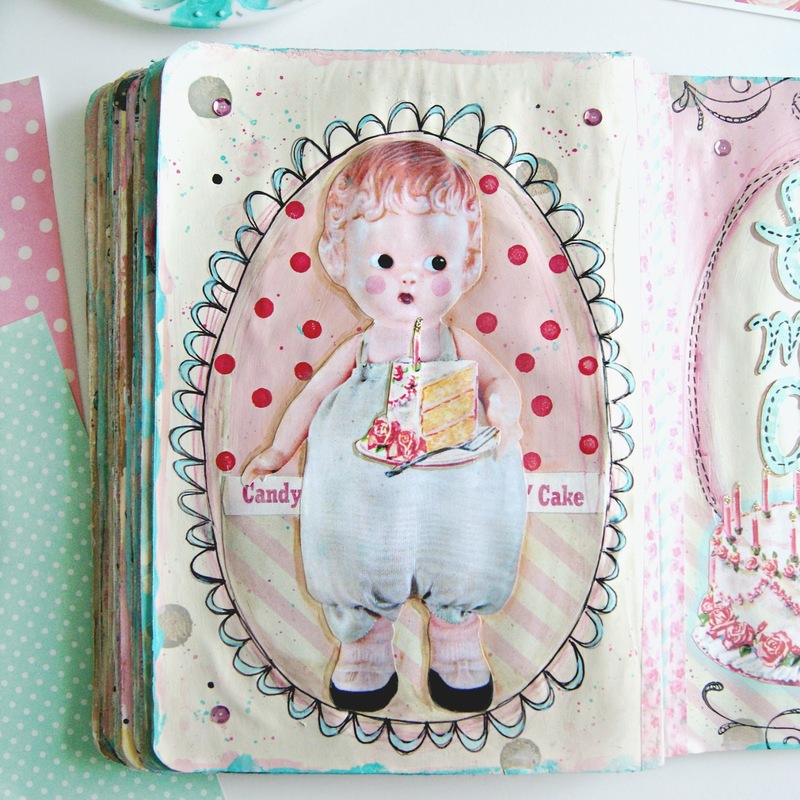 Prior to doing this spread I had went ahead and bolstered most of the pages with extra layers of paper and paint. 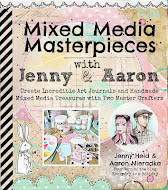 Me and Aaron each have several Art Journals and jump back and forth between all of them. Many times with me, an Art Journal page or spread begins with a vague idea that's related to a certain image or piece of ephemera that I'd like to use. 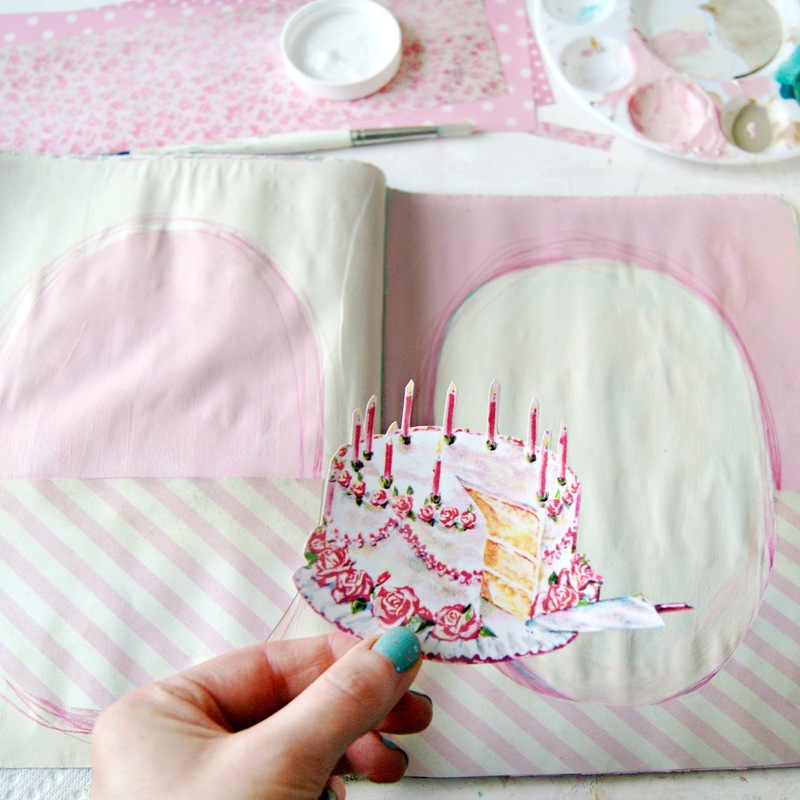 In this case, it was this birthday cake image I had cut out from a piece of vintage wrapping paper. Everything about this image makes me swoon! I just had to use it. 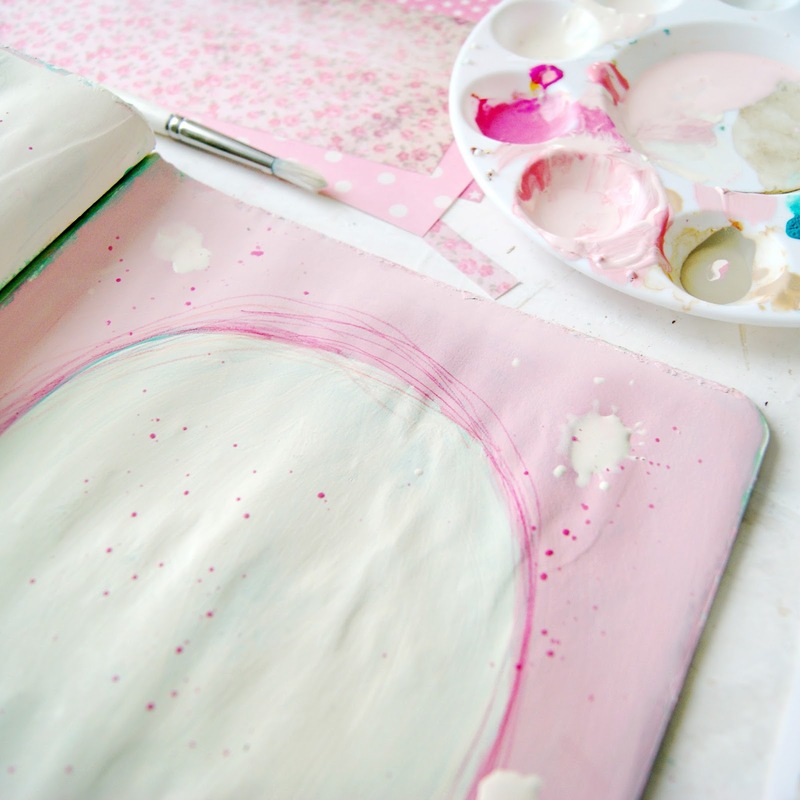 So I started the page by painting simple oval shapes in pink and cream, and then pieced in some pink and cream stripe paper. A lot of times when I'm doing a spread, meaning two pages, I like to make the pages mirror each other in some way. Sometimes I do one full composition that spreads across the two pages. But here I wanted it to be two separate pages that fit together perfectly. Then I did some sketchy colored pencil outlines around the ovals, and added some paint spatters. 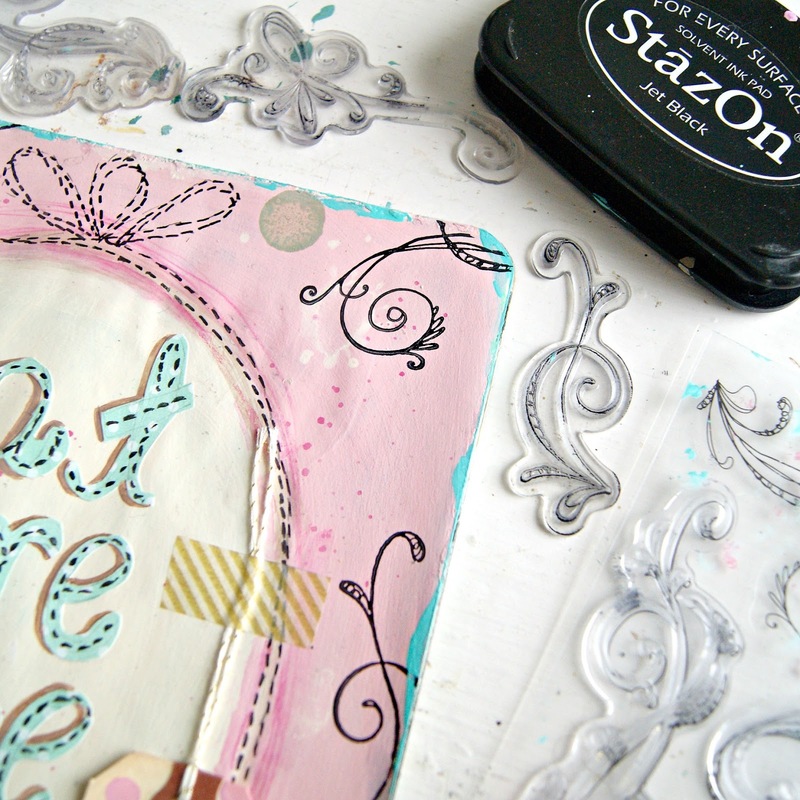 Like I said…haphazard and messy is what I'm about when it comes to Art Journaling. Besides the cake, I felt like the spread needed a muse. A face to be the spokesperson. And who better than this little chubby faced doll. I love using my collections in my spreads without actually "using" my collections. I just snapped a pretty close and clear photo of the cutie and printed her out. 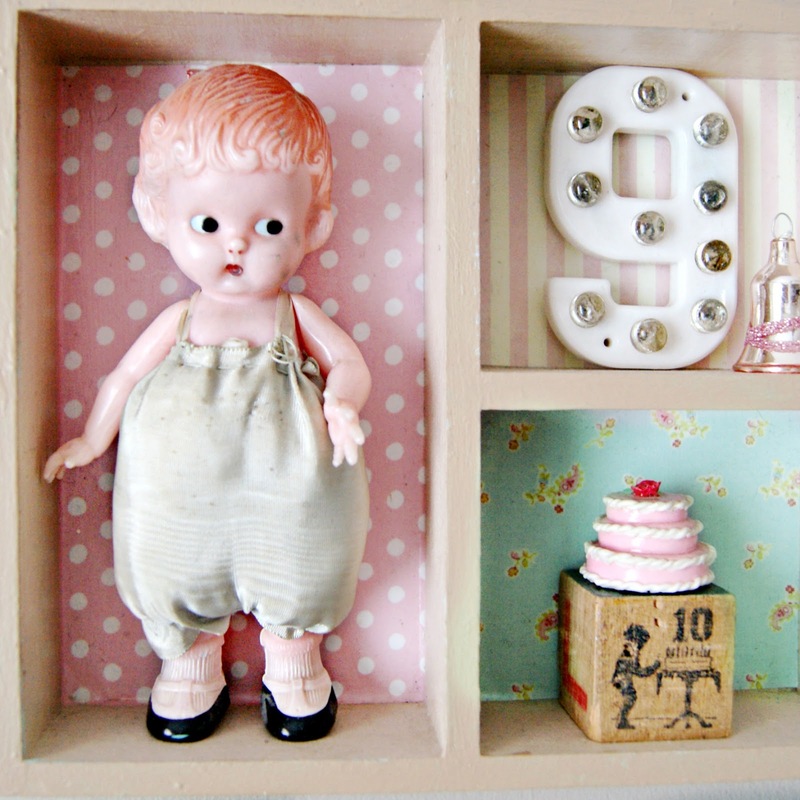 I then glued her in with some decoupage medium. 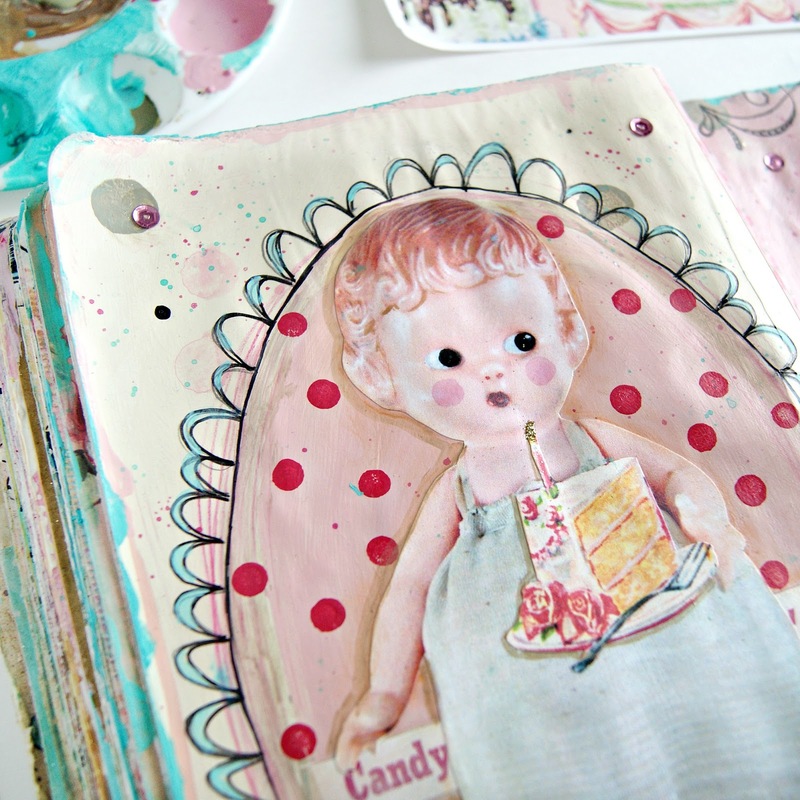 And from that same piece of vintage wrapping paper I cut out the corresponding slice of birthday cake and put it in her hand. I didn't want the page to be all pale color, so I then added some bright berry pink polkadots with a dauber, some Sharpie pen doodles, and bit of bright aqua paint details. I knew I needed washi tape somewhere on the spread. 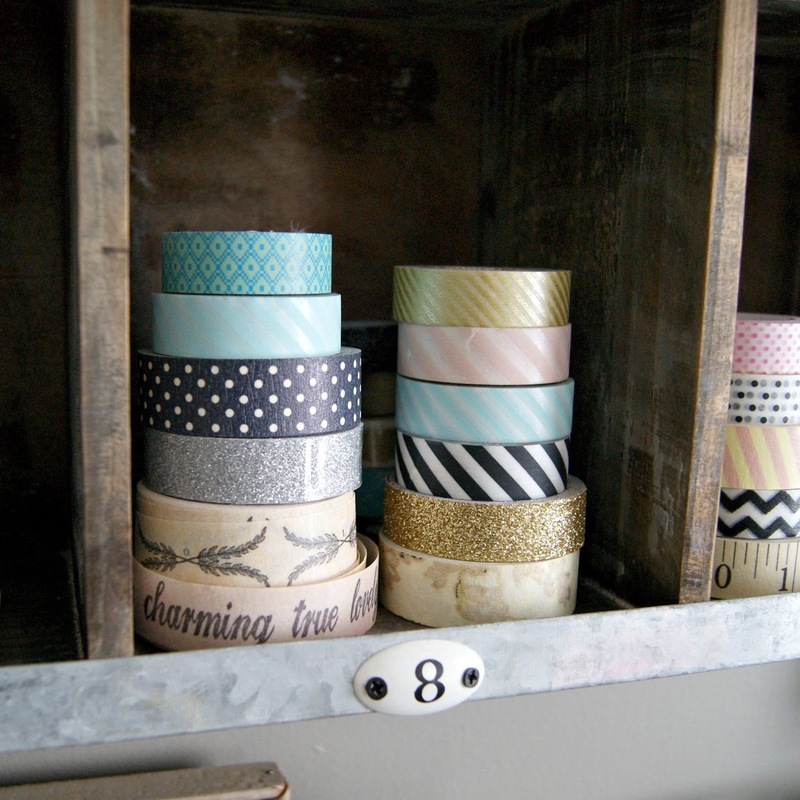 I always need washi tape! 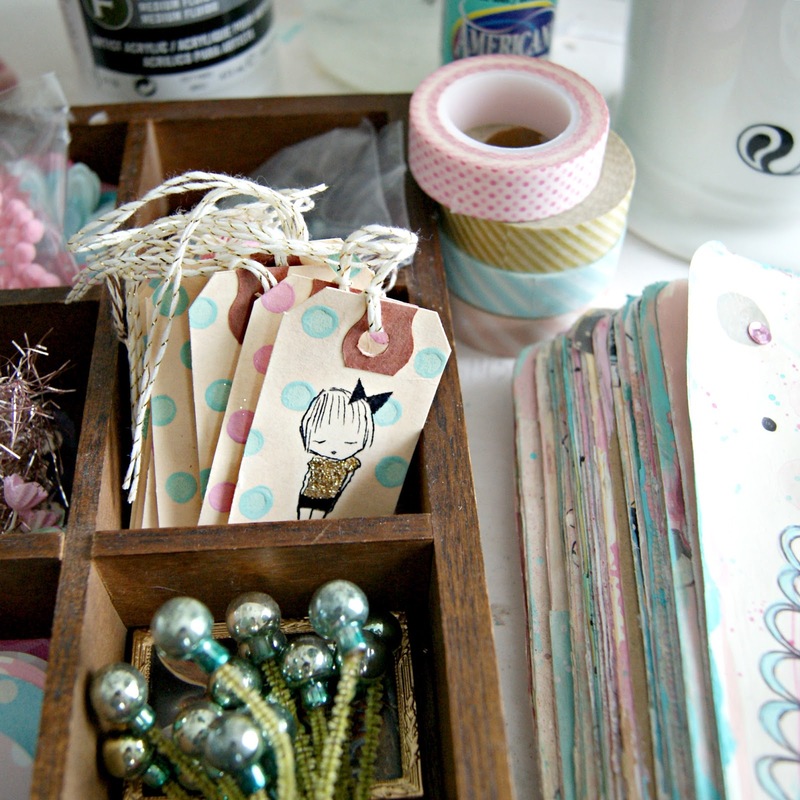 I selected my washi tapes and then pulled out my vintage printers tray full of all my bits and pieces. 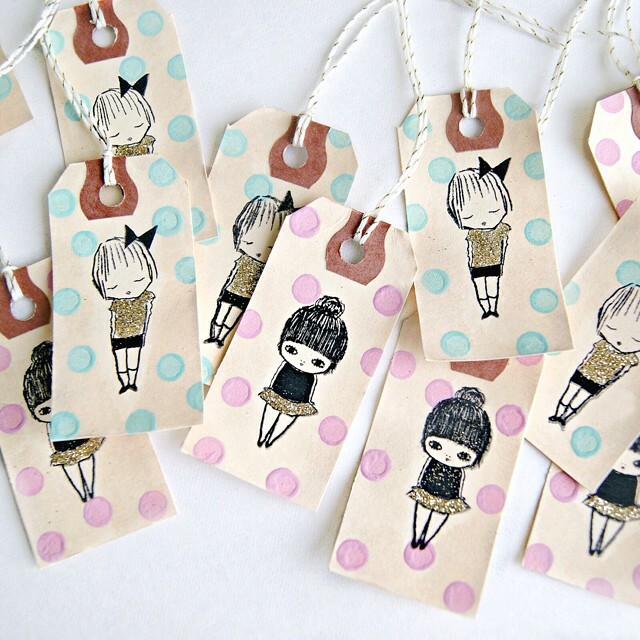 Last week I had made these tags using my fave Ashley G stamps. I def wanted to use one of these! I love how well black compliments pretty pastels. I added some more sketchy details with my Sharpie and also a bunch of stamped flourishes. I remember when flourishes were all the rage. I've got tons! I wish I knew who made these. I don't have the original packaging, and I doubt they make these anymore. 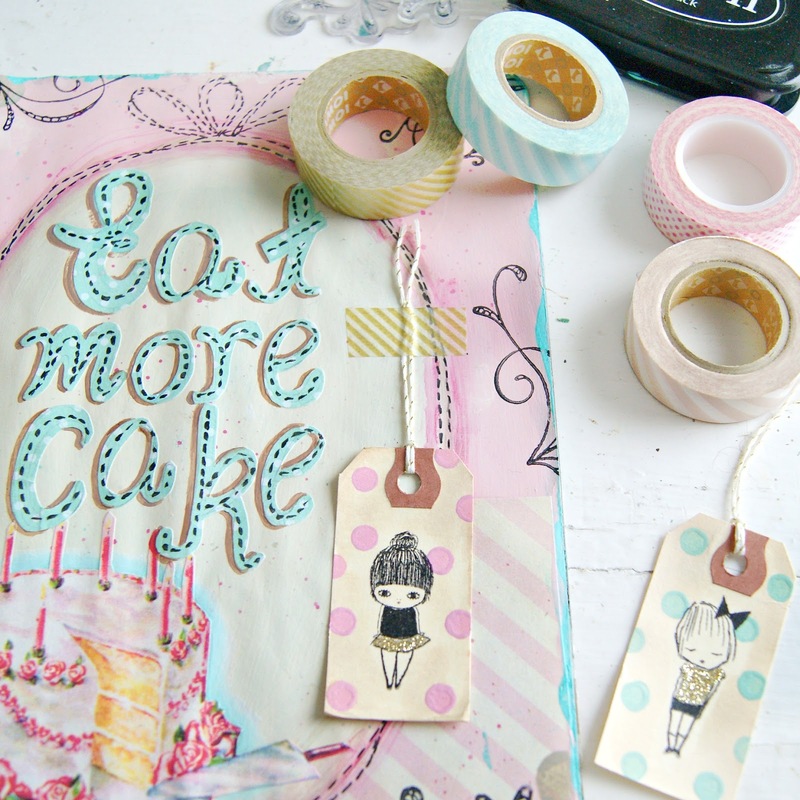 So I taped in my cute girl tag with a bit of metallic gold striped washi. I love how it compliments her gold glittered skirt. I used some fairly crude handwriting skills to render these letters and cut them out of aqua polk dot paper. I adhered them to the page but then felt that they needed to pop a bit more. So I added a drop shadow with some tan paint, and used my sharpie pen to add "stitching". I glued in some pink sequins for a bit of shimmer. 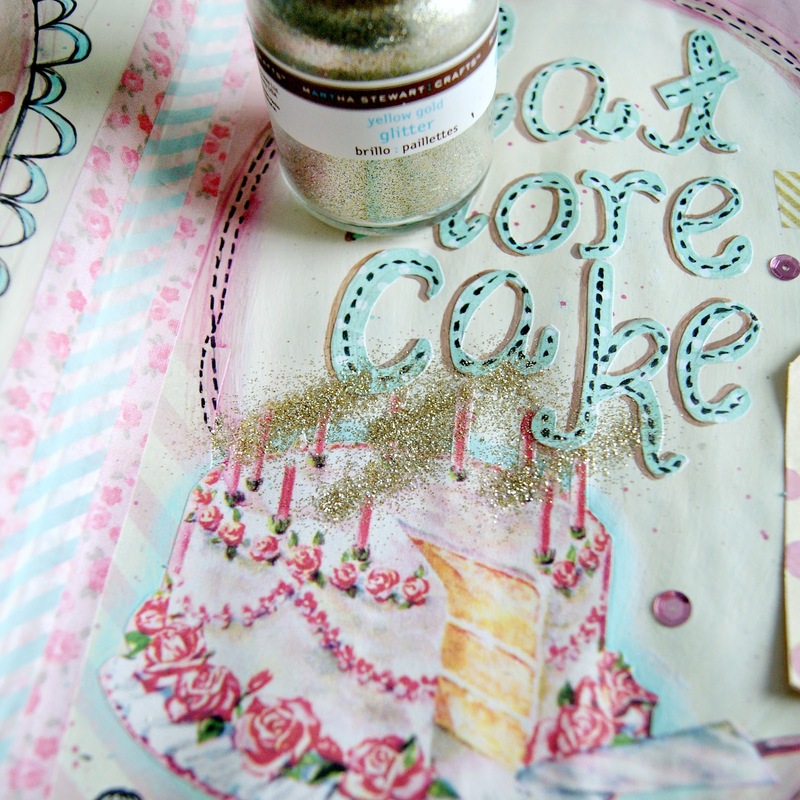 And while I was in shimmer mode I figured I'd add some glitter. 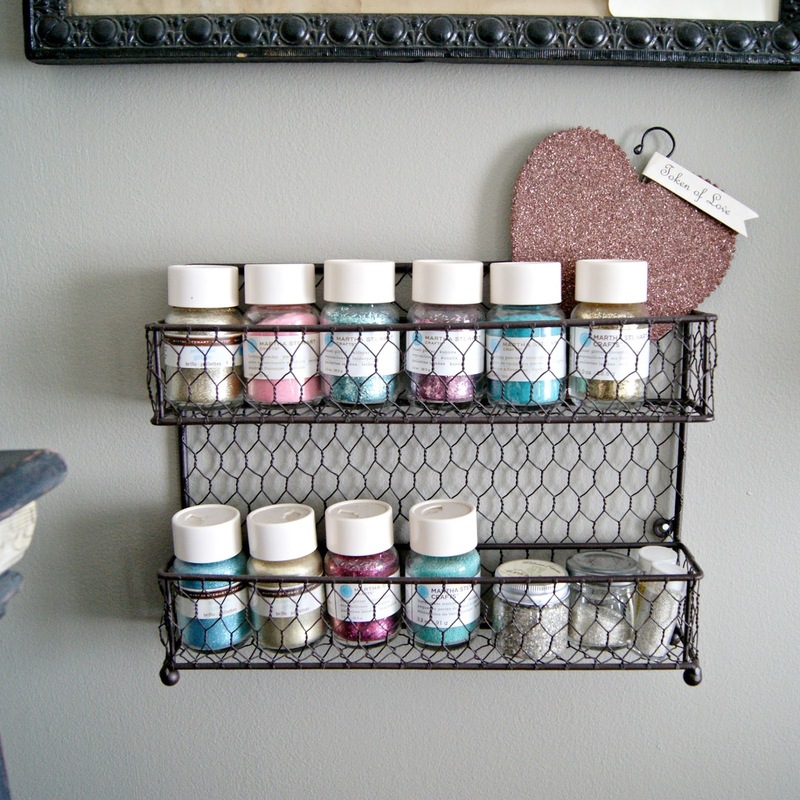 I keep my most used glitters in this adorable chicken wire wall rack. I added some ultra fine gold glitter to the candle flames. Just wanted to share some of my Art Journaling with you guys. I plan on sharing a bunch more…I had been Art Journal all this time but I wasn't taking the time to take in progress photos. I'll try to do this a lot more. 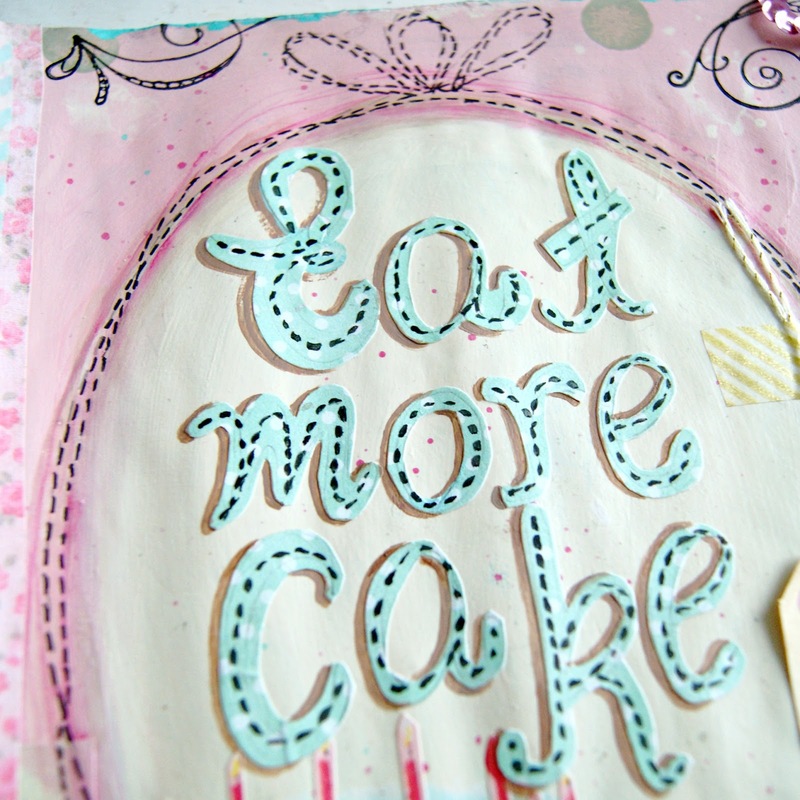 And yes…I 100% believe that we should all Eat More Cake. Not so much that we blow up like a paint and paper filled Art Journal…but you know what I mean. :) I still get a kick out of watching a new moleskine go from the skinny guy on the bottom to the chubby colorful guy on top. Thanks for reading! 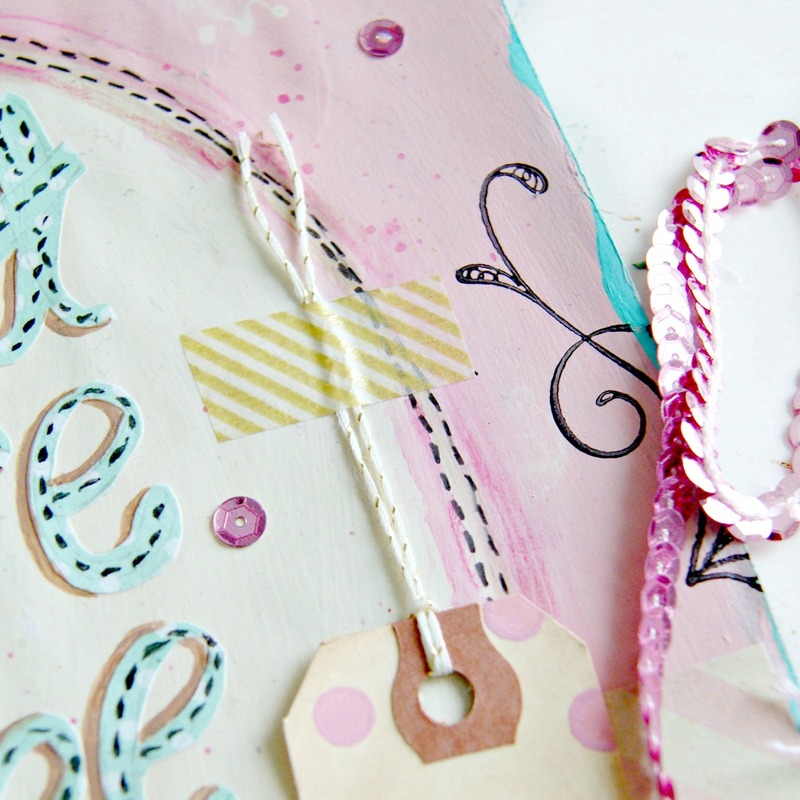 And Happy Art Journaling to you! So beautiful! 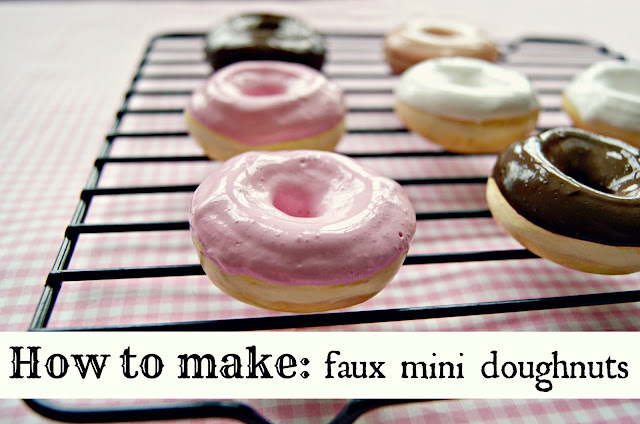 Thanks for showing how you did it step-by-step along with your thought process - a wonderful tutorial! 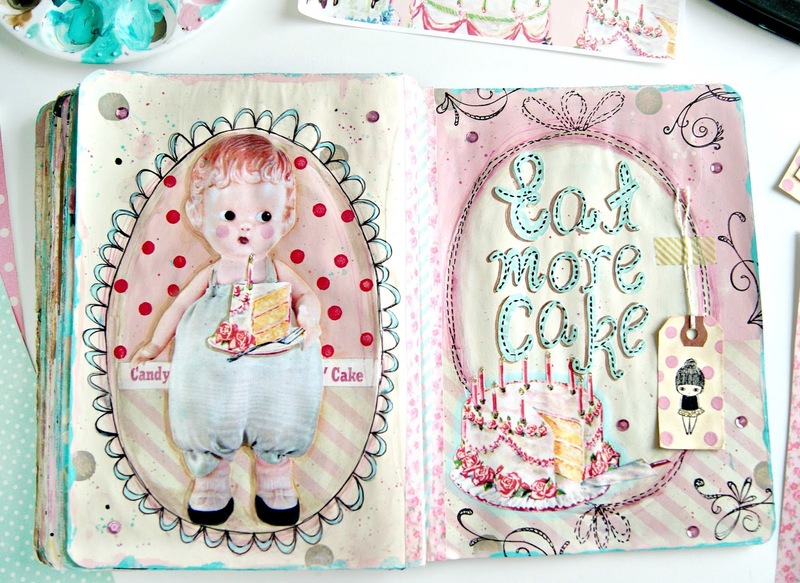 I love seeing your art journal pages, Jenny! So fun and so inspring! Thanks for sharing with us and I can't wait to see more!! I agree 100% with the sentiment of your journal page. More cake indeed! 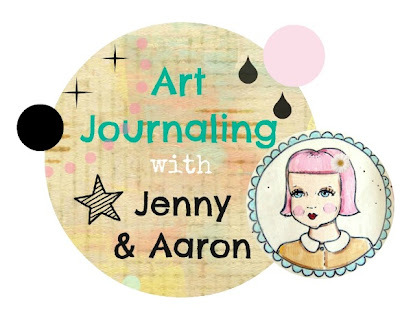 i'm new here to your blog and i loved your article in art journaling and i was just wondering what molskine you are using in this post. thanks so much and i love your colors! 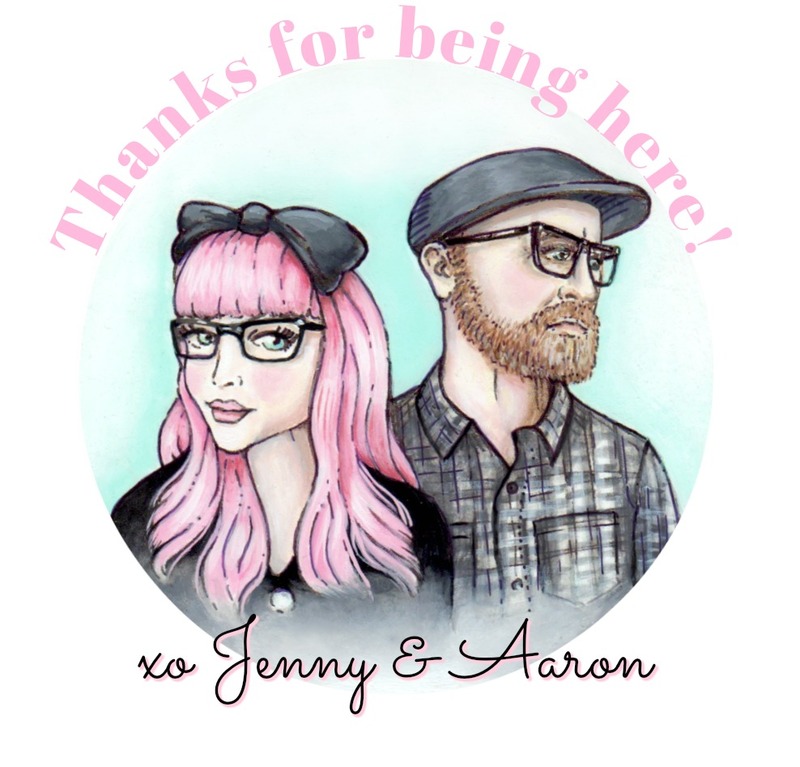 How lucky am I to have stumbled across your fabulous blog? That's what aimless Pinteresting will get you on a Saturday afternoon (no complaints here). Just wanted to say that I love your vibe and you have an amazing eye for art! I found this post so inspiring and stared at your pics for so long that my husband thought I was having some sort of comatose episode! That's the sign of a great blog, so many thanks again for sharing the inspiration!